We went for a walk around Western Springs, yesterday. 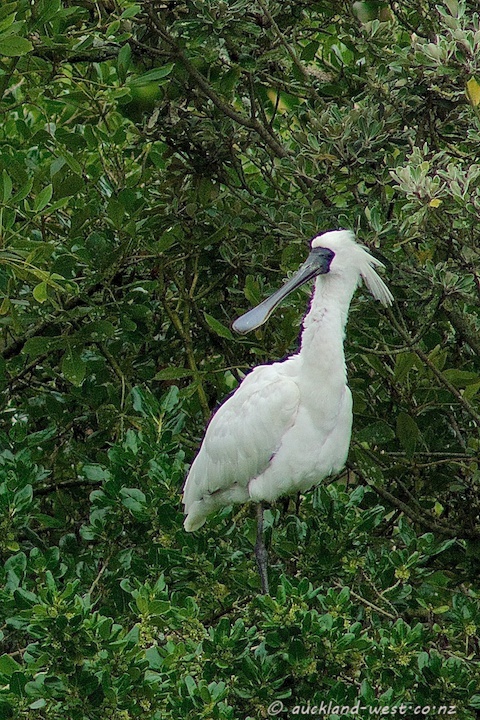 The tree that used to be full of shags had been claimed by a flock of Royal Spoonbills, some resting in the shrubbery, some apparently gathering twigs. 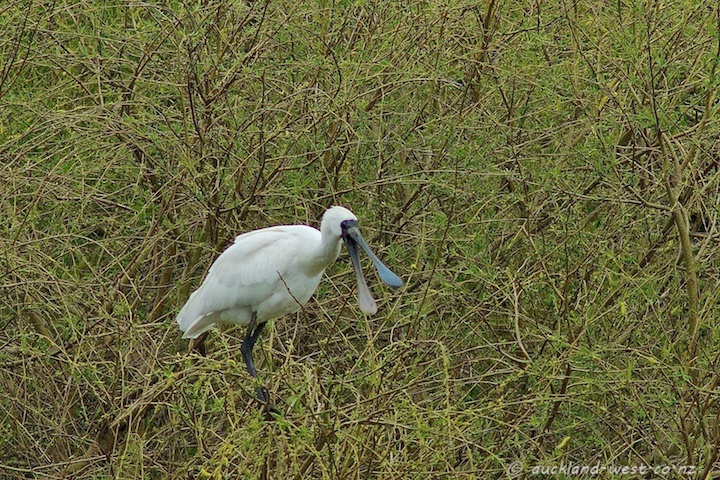 The last (and only) time that I saw spoonbills at Western Springs was 11 years ago. 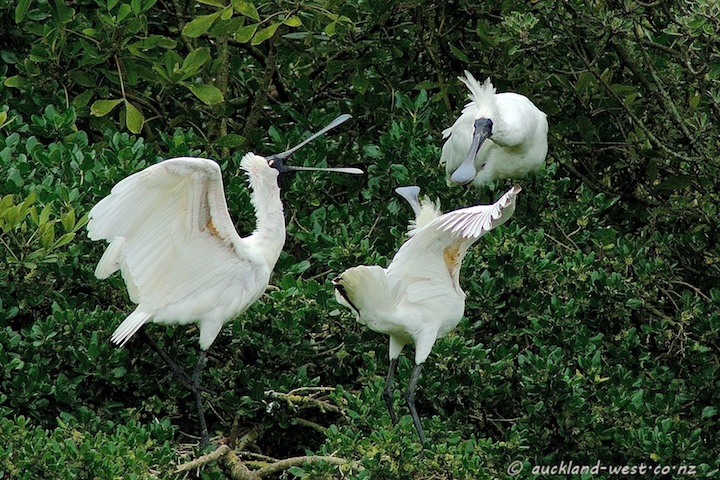 These birds can look so comical!